Here are six ways to boost your next direct mail marketing campaign. Target your mailings: Carefully plan your direct mail campaign to ensure the mailings go to prospects who are interested in your offerings. The best source of targeted addresses is your own customer list or a database you’ve developed yourself. A workable alternative is a targeted mailing list purchased from a list broker or database packager. Offer an appealing promotion: Ramp up interest in your products by offering a deal customers will find hard to refuse. Include a coupon or provide a substantial discount, offer enticing bonuses or provide a free trial. Provide a guarantee that will take the risk out of purchasing and provide plenty of motivation to buy. Personalize your mailings: Use technology to personalize the sales material you send. 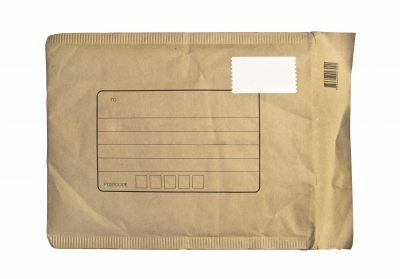 Everything from the teaser copy on the envelope to the sales letters themselves can be customized to directly address readers and their interests. Maintain high quality: Ensure the material you send out is of the highest quality. Hire professional copywriters and editors if possible. Scour your copy for mistakes in grammar and spelling or for simple errors. Along with your sales message, provide valuable information that your prospects can use and appreciate. Integrate direct mail with other marketing: Make sure all components of your direct mail package provide a consistent company image and marketing message. Elements such the company logo, fonts, color choices and other design factors should present a consistent marketing image. Make the piece cross-media by using PURLs with landing pages and/or QR codes to be scanned by mobile devices. Follow up: Include a call to action that prompts readers to take another step, such as calling your customer service center or visiting your website. Follow up with the people who take this step and provide updates, new information and new sales messages. Consider additional mailings to particularly strong lists of potential customers. Could direct mail marketing be the technique you need to boost interest in your products and services?